In parts of New England, "frappes" and "milkshakes" are more or less synonymous. At Brigham's, the Boston-based ice cream chain that closed its last parlors in 2013 after 99 years in business, a frappe was a milkshake, plain and simple. 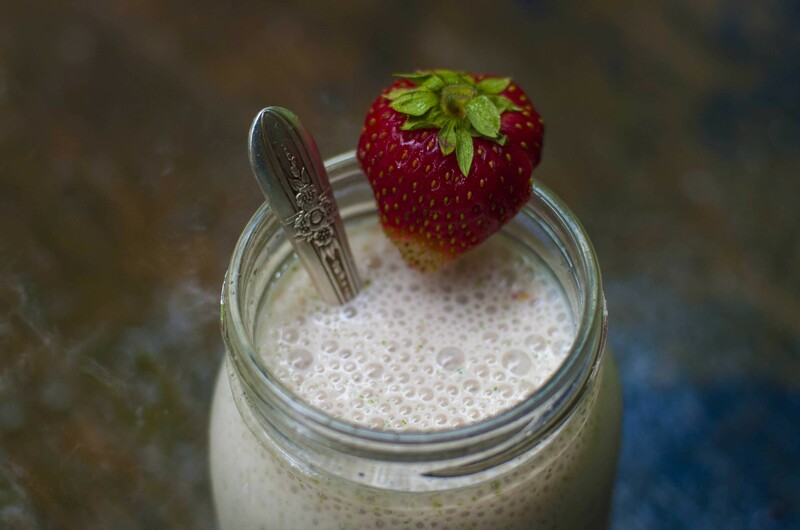 But in many homes, it's a blended, milk-based froth — usually thinner than a milkshake — with some combination of ice, ice cream, fruit or coffee. To me, it's thin enough to sip and has a head of big bubbles. How does this relate to strawberries? Well. 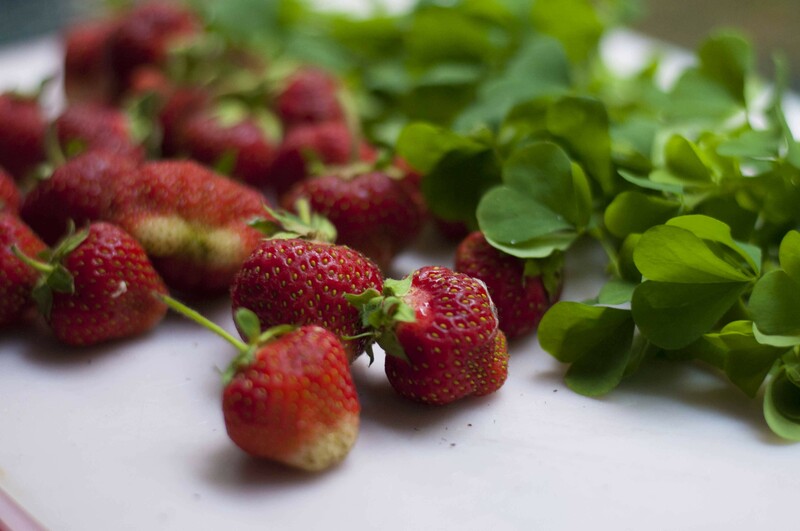 At the South Burlington farmers market last weekend, I snapped up a couple pints of strawberries from Lewis Creek Farm. Rather than eat them fresh (and immediately) as I usually would, I stuck them in the fridge, pending ambitions of custards and tarts, scones and muffins. Days passed and the strawberries withered from their former glory. Then, this morning — when I woke up to rain for what felt like the 678th day, I recalled the frappe. I jazzed it up a bit: Because it was breakfast, I threw in an egg white (this also helps with the froth). I also added a bit of wild sorrel from my back yard, which adds a tangy, lemony flavor, and a scoop of ice cream because why not. The only problem? I didn't have a straw. This frappe is an epic milk mustache waiting to happen. Place all ingredients in a blender and BLEND, BABY, BLEND.